Ah, the morning after Thanksgiving. It’s the morning we all open our eyes and realize we are still stuffed. Get up and get moving. Go walk a dog. Go throw a tennis ball for a friend. 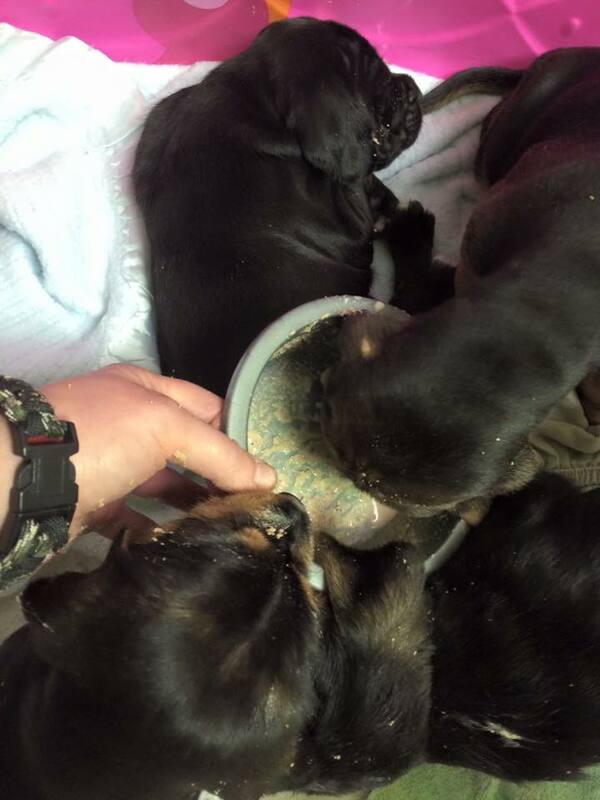 Emilia’s puppies are now eating gruel! These little fat babies are growing so fast! 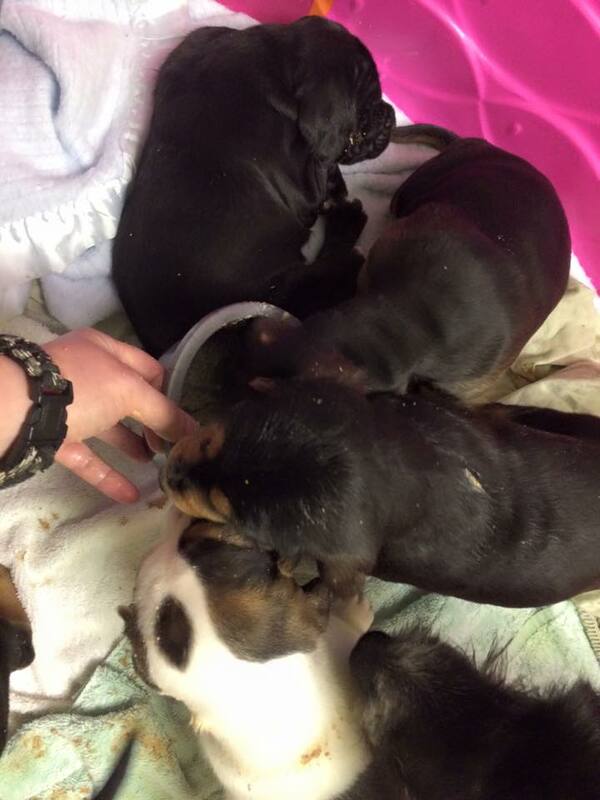 Mom will be happy that we are now supplementing her feedings with formula and puppy food! visit our Amazon Wish List and send us a container of puppy formula. 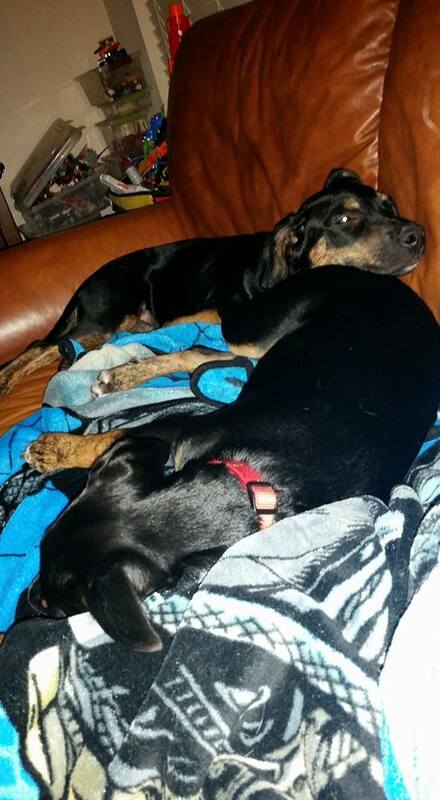 Vixen & Pauli are the only remaining pups from our Brew Crew. They spent their Thanksgiving together while Vixen’s family was out of town. They absolutely love each other and were so excited to see each other. These girls played hard & crashed even harder. 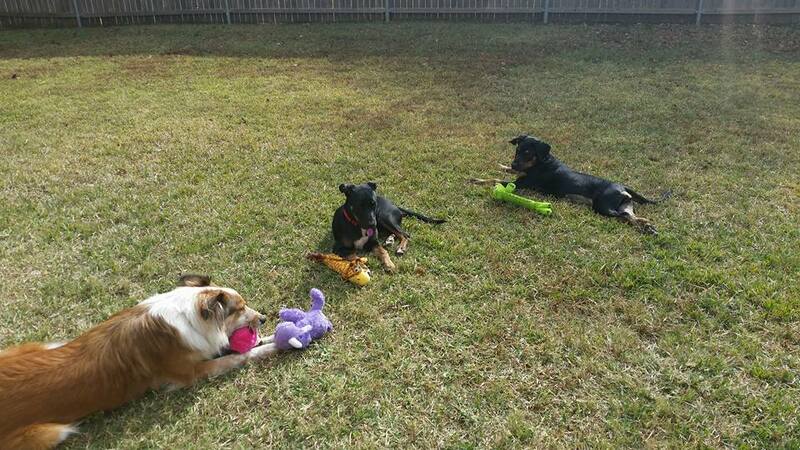 They have come so far since rescued on North Texas Giving Day. These sweet girls were less than 24 hours from EU. And they are still looking for their Forever Home. 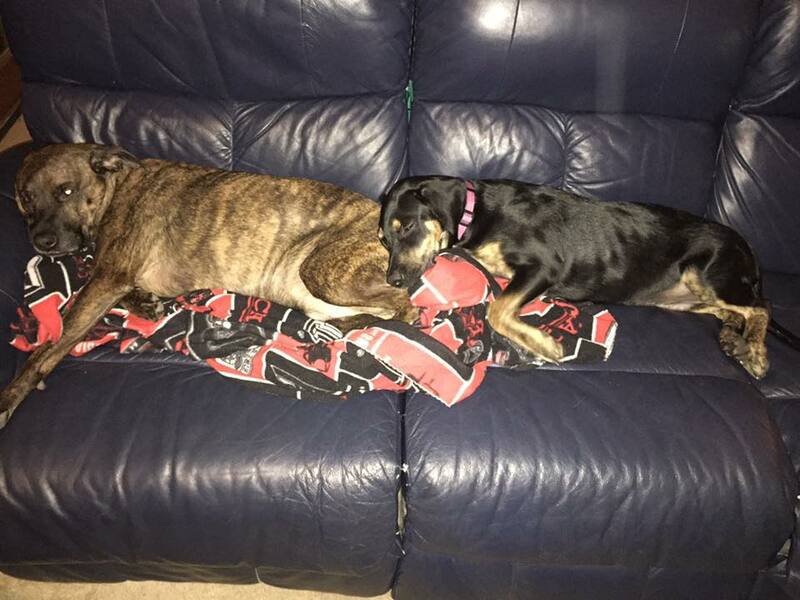 Both girls have resident dogs in their homes and would love to have a four-legged sibling. the dog beds on Elise’s front porch! They have all been washed and ready for our fosters to pick up. There is nothing more that a foster dog loves, when coming from the streets or the shelter, than a fluffy/soft bed. 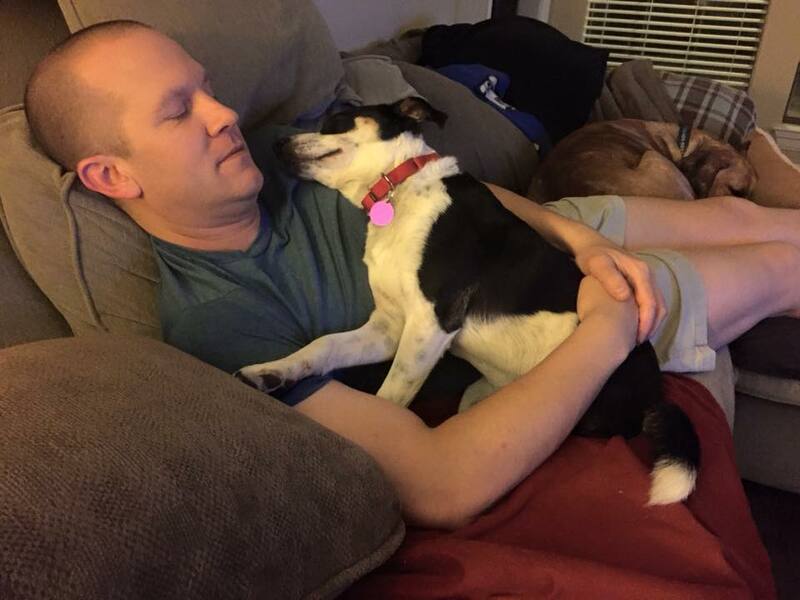 We asked Bandit for an update from his Foster Home and this is what we received. around his neck. This boy is looking for his perfect Forever Home to relax and cuddle. 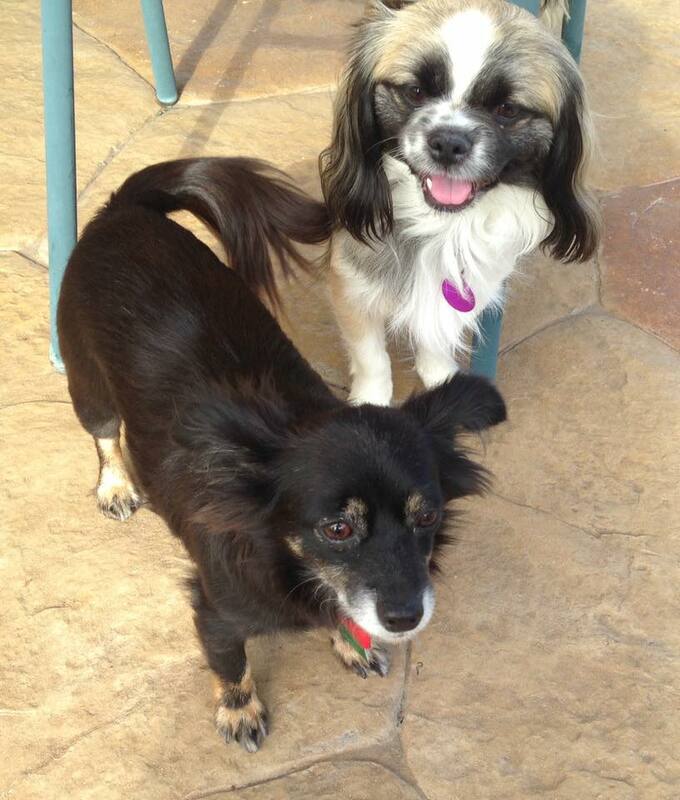 Here is a sweet Thanksgiving Update from Cookie (fka Carmel) and her new 4-legged sister, Murphy. 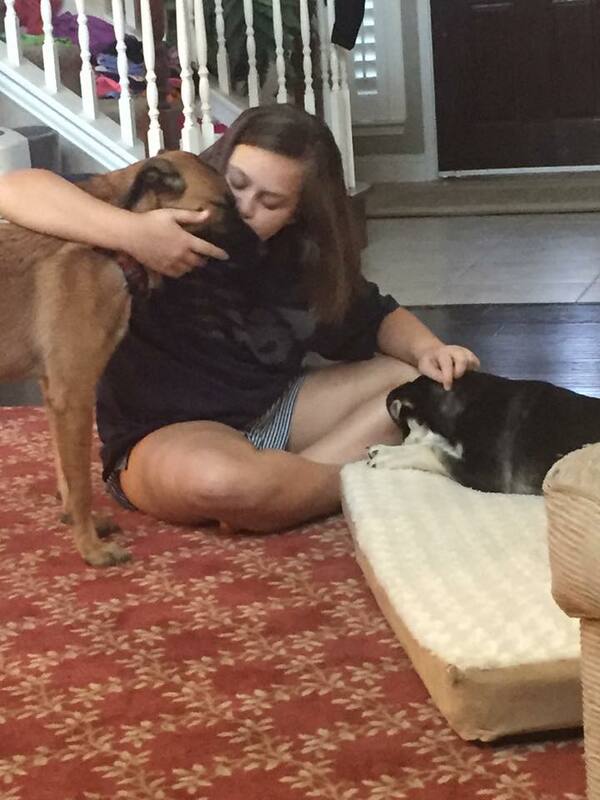 Both dogs have been adopted this year from TMHPR. Love that these girls will live the rest of their life being loved. Forever Dad and Aussie Brother. She is loving life as his little shadow and lap dog. And who is that with her? Well, that is Parker. He is currently up for adoption. He spent the day playing with little Leyna. We hope everyone had a wonderful Thanksgiving. We know that the need for saving lives of the dogs and cats in the shelters and on the streets never ends. So, we will be having a Meet & Greet on Saturday for both dogs and cats. 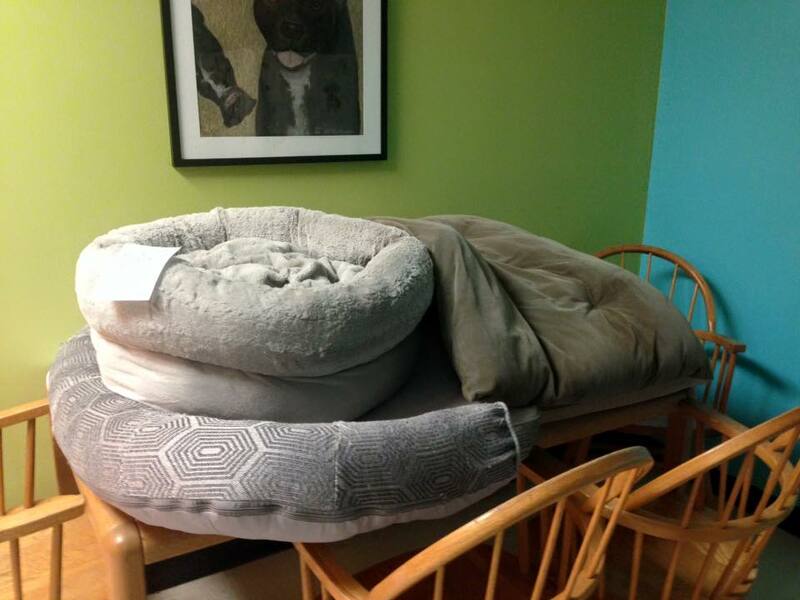 Dogs during the regular hours of 10 am – 2 pm. And cats from 11 am – 1 pm. Come visit TMHPR and take a tour of our Adoption Center. And meet some of the fabulous dogs and cats.